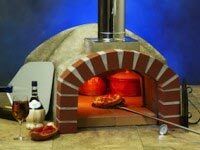 Forno Bravo is the world leader in do-it-yourself pizza oven kits. 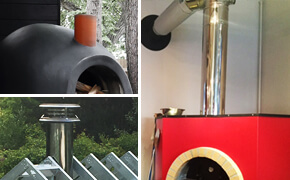 We offer a wide variety of wood or gas fired kit options— from our industry-leading modular DIY pizza oven kits and authentic Italian brick pizza oven kits, to the free Pompeii DIY pizza oven plans. 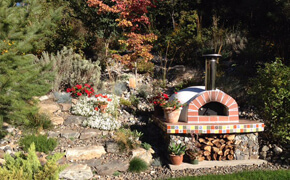 The biggest advantage of a DIY pizza oven kit is location accessibility. 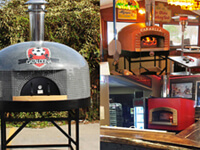 Many locations have limited access for forklifts or cranes, which prevents larger, pre-assembled pizza ovens from being installed in your restaurant or home. 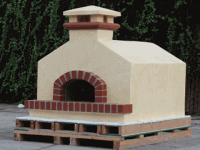 DIY pizza oven kits can easily be transported to the install location in pieces and assembled on site. 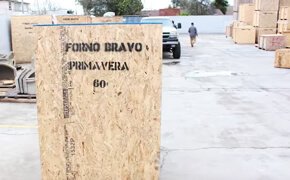 With the heaviest piece no more than a couple hundred pounds, it can be easily moved into position by just a couple of people. 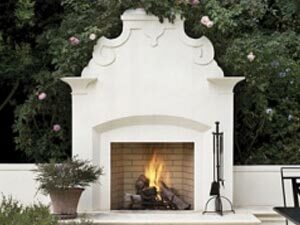 Going for an integrated or original look? 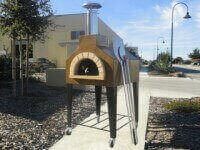 A DIY pizza oven kit’s appearance can be completely personalized for your location. 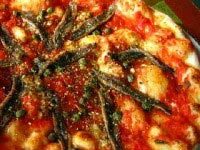 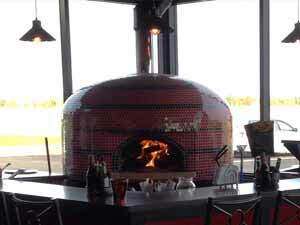 Any non-combustible material may be used to enclose the pizza oven; just make sure it is sealed against water. 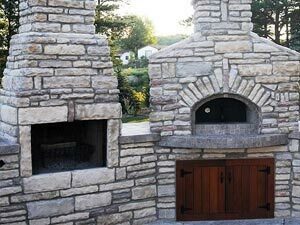 Use stone to match your landscaping, or stucco painted like your house, brick for an authentic Italian pizzeria look, or tile to create a showpiece pizza oven. 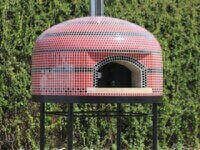 The decorative options for your pizza oven facade are limitless. 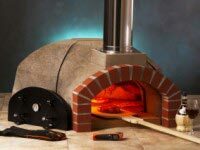 Cost considerations are another reason people choose a DIY pizza oven kit. 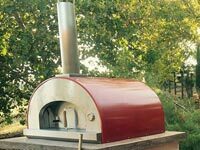 At about half the cost of our fully assembled ovens, these DIY wood burning pizza oven kits and plans allow the buyer to keep costs low if they or a friend have the construction skills to install and enclose the pizza oven. 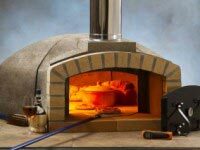 Forno Bravo provides all the essential core components needed for a DIY pizza oven kit: oven dome, cooking floor, insulation, high temp mortar, door, thermometer, and venting options. 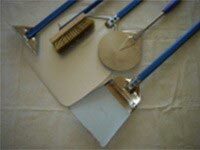 Any other supplies you will use can be easily found at your local hardware store or landscape supply company at a reasonable price. 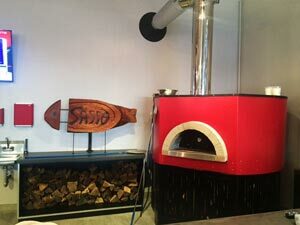 As long as your spouse or friend doesn’t charge labor, kits are a very affordable way to get a high-end pizza oven for your restaurant or home. 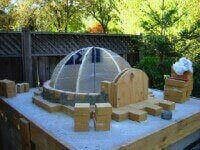 Should I Build from Scratch or with a DIY Kit? 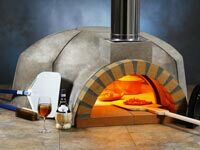 Many people choose to use a DIY pizza oven kit because they enjoy the construction process, but want the guaranteed performance of a Forno Bravo pizza oven. 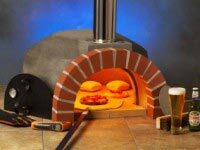 Our easy DIY pizza oven kits are designed to eliminate the common construction mistakes that compromise the long-term durability, high-temperature performance, heat retention, and oven flexibility to bake anything you want. 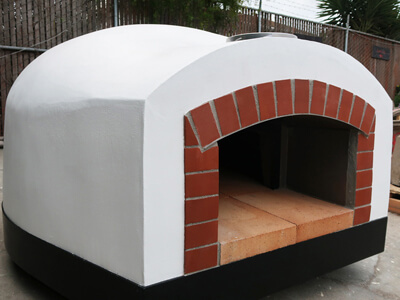 Unlike brick ovens built totally from scratch by a homeowner or mason using local materials, our DIY pizza oven kits are engineered to perform. 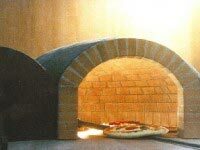 They can be easily installed in a fraction of the time that a hand-built brick oven would require. 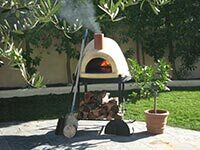 Forno Bravo provides many resources for the DIY pizza oven kit installer to be successful— with YouTube videos, detailed manuals, and the world’s largest forum dedicated to pizza oven projects. 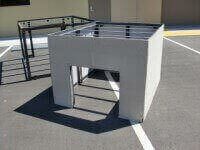 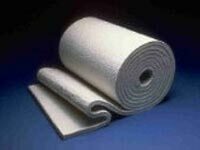 We also provide technical support before and after installation via email or by phone during business hours. 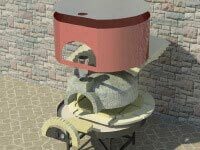 Through our time-tested Pompeii brick oven plans and forum contributors, we also encourage our from-scratch builders, as we believe that every home and restaurant can benefit from having a pizza oven! 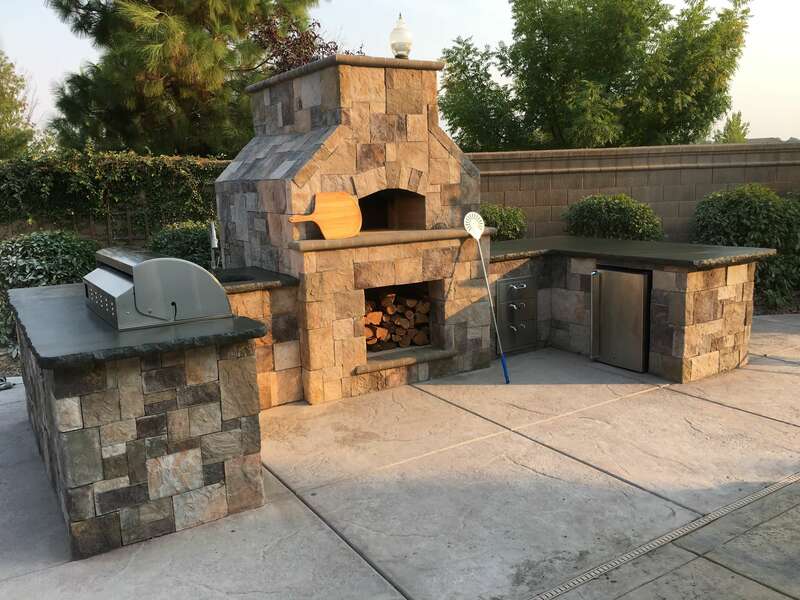 However, we also recognize that building from scratch, even with our with wood burning pizza oven plans, is a labor of love and requires both a major time commitment, solid masonry skills, and access to an extensive set of tools to succeed. 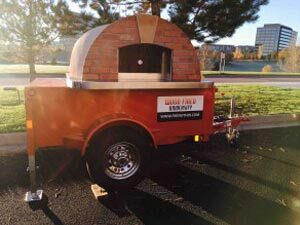 If a DIY pizza oven is a little intimidating, we do offer a full range of pre-assembled pizza ovens for restaurants and homes, many of which can be customized. 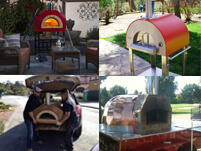 Also, several of our dealer partners offer installation services for our DIY pizza oven kits to help bring your vision to reality. 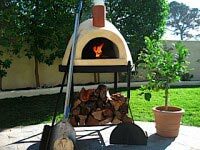 Forno Bravo’s DIY wood burning pizza oven kits hold many performance and structural advantages over most brick ovens constructed from scratch. 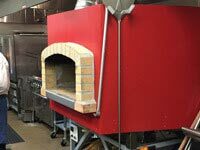 Engineered components – our ovens are engineered to perform with fast heat up times, excellent heat retention, and proper thermal performance. 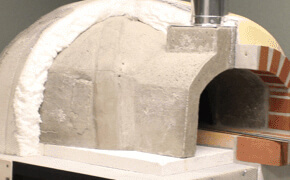 Homemade brick ovens often exhibit inconsistent temperatures, due to dome to deck profiles being out of sync with the materials used, extensive pre-heat times, and faster heat loss than our cast oven kits. 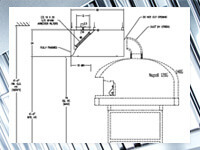 Dome design – our ovens provide the optimal dimensions, thickness, and an easy to assemble interlocking design, allowing them to be installed correctly and excel every time. 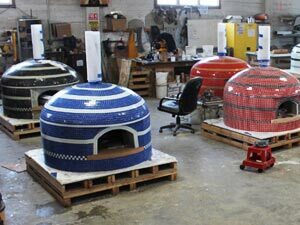 Handmade brick oven domes perform based on how tightly your mason can fit the several hundred individual bricks together and maintain the dome form to provide optimal thermal cycling. 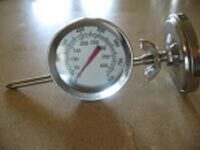 Your return on investment can be highly variable. 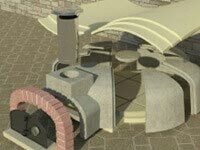 Heat up times/maintenance – our refractory ovens heat up in less than an hour for home units, where brick ovens often require 2 to 4 hours to reach high temperatures, wasting fuel and time. 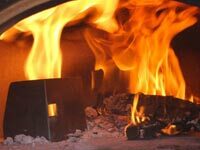 Our commercial ovens initially take a bit longer to heat, but they have so much thermal mass and insulation, that they retain most of their heat overnight. 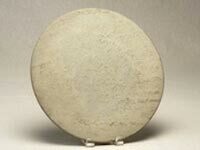 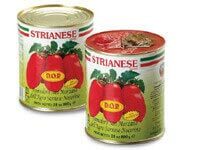 Wear and tear – our ovens use a commercial-grade refractory material that is designed to expand and contract at very high temperatures, without compromising performance over the life of the oven. 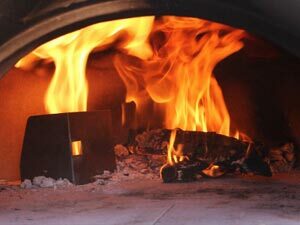 Brick ovens will expand and contract at different rates, requiring fires to be moved around the chamber to extend the life of the oven; they often break down after a couple years, or if they are used in extremely cold temperatures. 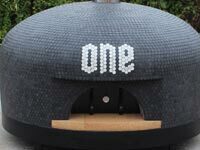 Our ovens can be used in any outdoor temperature. 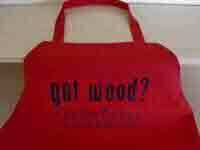 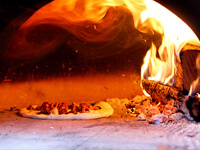 We love wood fired ovens! 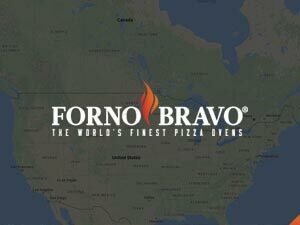 No matter the route you choose (Plans, Kits or Assembled,) Forno Bravo can help guide you. 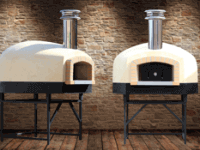 Check out the links below to find the right oven for you. 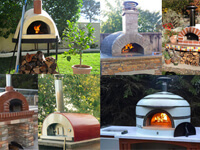 These are our most popular DIY Pizza Oven pages. 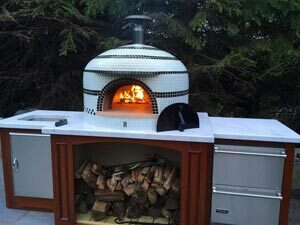 Whether you want a modular refractory pizza oven kit with easier installation and the flexibility to have your own “look”, an authentic Italian brick oven, or the plans to handcraft your very own brick oven, Forno Bravo has what you want. 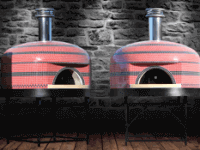 Commercial pizza oven kits designed for restaurants who either have access issues to their kitchen or want a unique oven build for their brand. 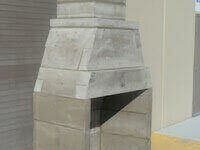 Two people can carry each piece up stairs or through a standard doorway. 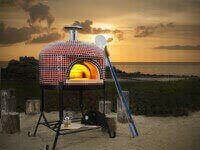 The Pompeii brick oven is a DIY brick pizza oven design developed by Forno Bravo’s founder while living in Italy. 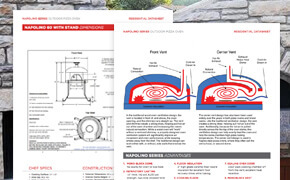 The complete pizza oven plans are available for free download in our online store. 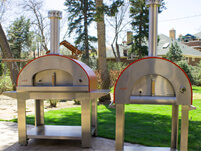 Learn why Forno Bravo DIY pizza ovens are the world leader. 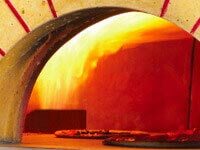 From our commercial grade refractory materials to innovative dome design, you won’t find a more versatile oven on the market. 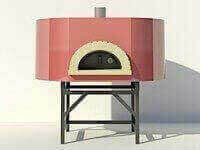 Forno Bravo gas pizza ovens can operate with gas, wood, or a combination of the two. 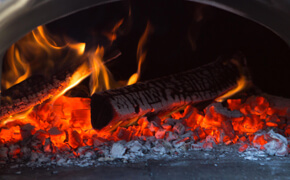 We offer natural gas and propane options for restaurants and homes. 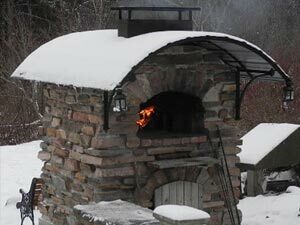 Learn the pros and cons of adding gas to your pizza oven. 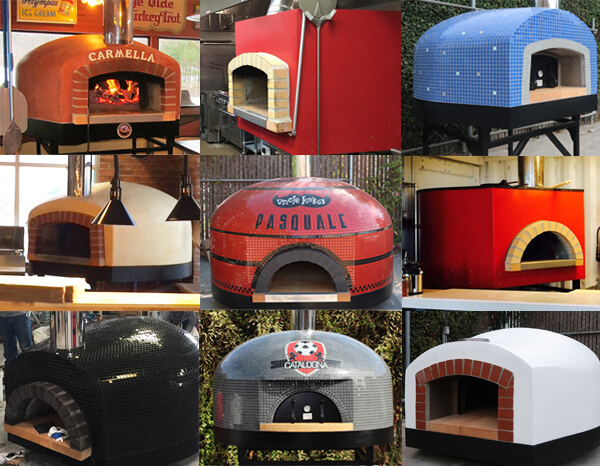 Forno Bravo has thousands of DIY pizza oven photos of installed ovens from around the world. 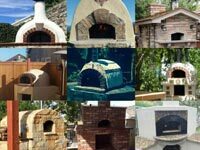 With photos of Forno Bravo pizza oven installations, Pompeii brick ovens made from our plans, and even ovens from antiquity, this gallery will inspire you. 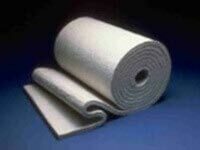 Additional technical topics for the do-it-yourselfer. 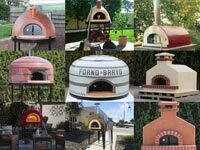 Forno Bravo’s YouTube channel is a great visual resource for information on how to install our DIY pizza oven kits. 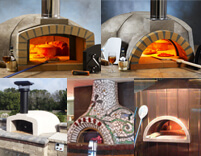 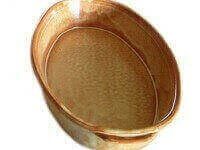 Other videos include maintenance and recipe videos for wood fired enthusiasts. 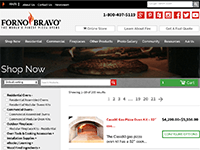 Inspiring the world with DIY pizza ovens, Forno Bravo’s free online Forum has over 26,000 registered users. 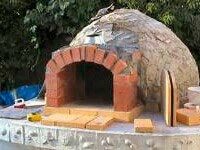 Sharing DIY pizza oven installations and advice worldwide, it’s a fantastic resource for the do-it-yourselfer. 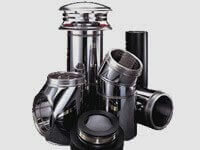 Search here to find information, reference materials, and detailed articles on common questions and topics – from installation to product support and warranties. 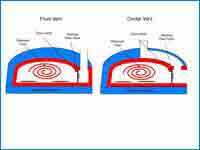 The form below is specifically designed for technical support. 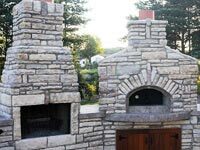 If you have a question about your DIY pizza oven installation, complete the form and someone will get back to you as soon as possible.